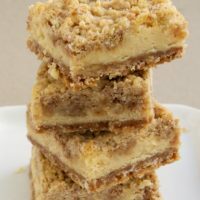 Magic Bars are one of those things that have been around for so long that we’ve probably all made at least a few batches. 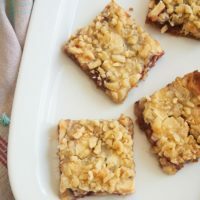 Whether you call them Magic Bars, Seven Layer Bars, or (how I first knew them) Double Delicious Cookie Bars, the idea is the same. You start with a cookie crust, add sweetened condensed milk, and then go crazy with your favorite toppings. Usually the one thing missing from these kinds of bars is fruit. 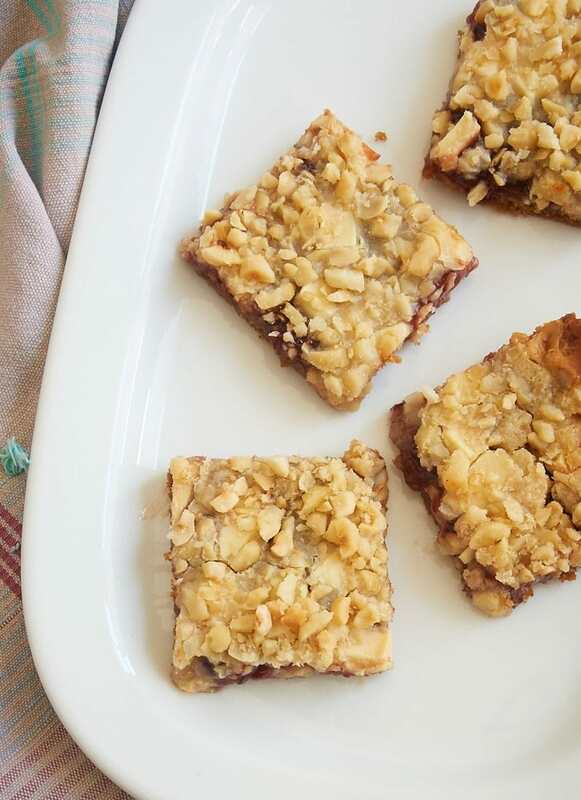 Instead, the toppings for these types of bars tend toward chocolate chips, nuts, coconut, and the like. 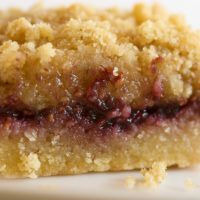 But then I saw a recipe for Strawberry Magic Bars that incorporated fruit preserves, and it was one of those why-didn’t-I-think-of-that moments. 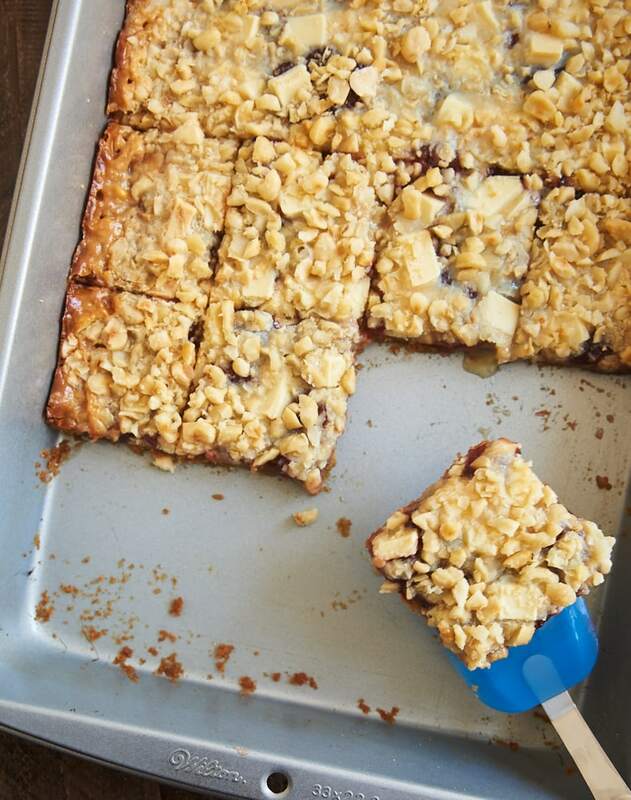 Essentially, these are still very much the tried and true formula for Magic Bars. The one change is to dollop preserves on top of the bars before the other toppings get added. And I do mean dollop. Be sure to drop those preserves by small amounts over the condensed milk layer, as spreading the preserves can be more than a little tricky. I combined strawberry preserves with white chocolate and chopped hazelnuts. 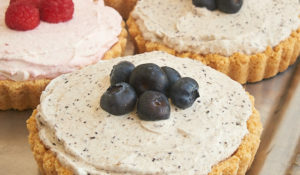 But there are plenty of other delicious combinations just waiting to be made! 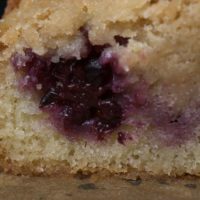 Blueberry preserves and coconut… Peach preserves and pecans… So many tasty combinations! 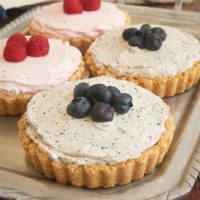 I think you’ll love this fruity twist on a classic sweet treat. They’re a little softer and gooier than the traditional versions. And the addition of fruit preserves provides a little extra sweetness that’s really just delightful. Find more recipes made with preserves in the Recipe Index! 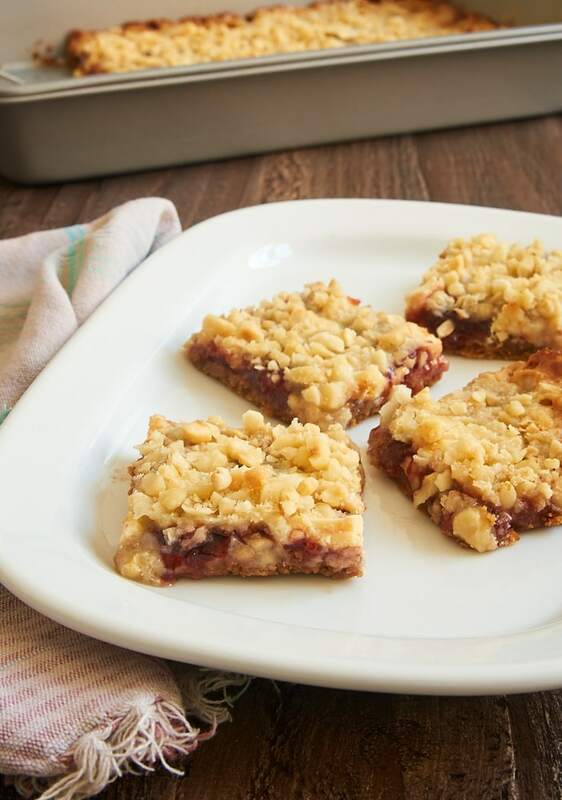 Add some fruity flavor to an old favorite with these sweet, delicious Strawberry Magic Bars! 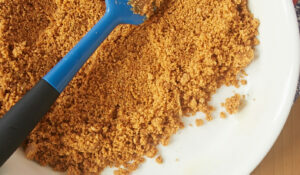 Combine the graham cracker crumbs and sugar. Add the butter, and mix until thoroughly combined. Press the mixture into the bottom of a 9″x 13″x 2″ baking pan. Drizzle the condensed milk over the crust. Refrigerate for 10 minutes. Drop the preserves by teaspoonfuls over the condensed milk. Sprinkle the white chocolate and hazelnuts over the preserves. Bake 25 to 30 minutes, or until the bars are lightly browned. Cool completely before cutting into bars. Oh my gosh, strawberries and white chocolate and hazelnuts?! Perfect combo!! 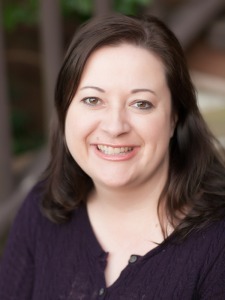 Hi, Deborah. Coconut would be a good substitution, although some people with tree nut allergies can’t eat coconut, either. 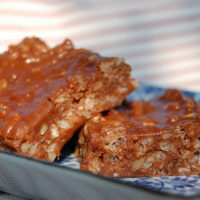 How about toffee bits? Or you can just omit them altogether if you like. I am allergic to hazelnuts only so I will most likely try almonds in their place. What do you think, Jennifer? Sounds like a great flavor combo to me, Diane! Made for the What’s on the Menu? Tag Game @ FF&F – Oh my, these bars are so good! Once I saw your pics, I couldn’t wait to make them (mine looked the same). 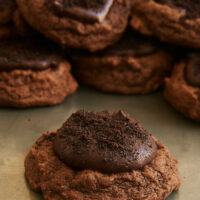 Making them was so spur-of-the-moment that I had to get creative for 1 ingredient. I didn’t have graham crackers, so I used crushed cornflakes, added 1 extra tbsp of sugar I thought might be needed & then finished the recipe. Along that road, I slightly modified the prep by stirring the strawberry preserves into the condensed milk for a uniform mix & prep made easier. I also used the coconut you suggested to DJ as my hubby is diet-restricted for nuts. He was so impressed to have them w/his coffee this morning that he posted on FB about them & I posted about you in fairness. Thx for this easy-fix & tasty recipe. Um, so I’ve actually NEVER MADE MAGIC BARS. And certainly never strawberry-infused ones! Big shame on me. 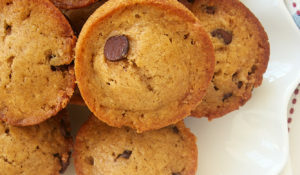 When I made these I did not have white chocolate chips or hazelnuts, so I used the semi sweet chocolate chips and pecans that I had. They did not last 24 hours, Someday I will try them the way they are supposed to be done. Any way you want to make them works! Glad you enjoyed them! I might as well mainline sugar, but I mean that in a nice way. Am going to the store to buy the preserves…I have the rest of the ingredients already.